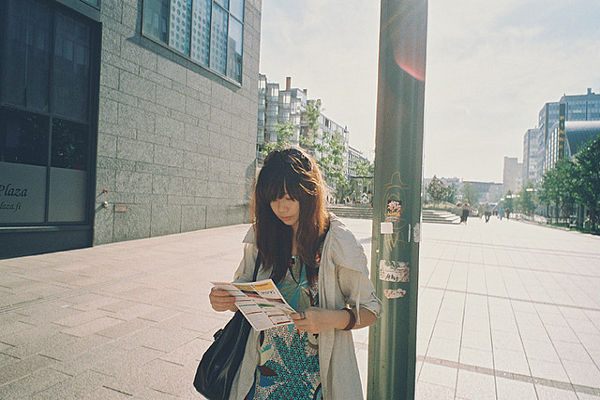 Photo: *Zephyrance – don’t wake me up. Karen Dion breaks down the Finnish capital by cost category, pointing out cheap picks in each. HELSINKI OFTEN SHOWS up on those lists of the world’s most expensive cities, so I was already aware that a visit to the capital of the “best country in the world” would not be cheap. When I disembarked from the Tallinn ferry, I was surrounded by a crowd of Finns, almost all carrying multiple boxes of beer and spirits under their arms, in trolleys, or in crates pulled along behind them. How expensive must Helsinki be, I asked myself, if locals have to travel across the Baltic Sea to stock up on affordable booze? Fortunately, although I only spent one week there, with a little effort and insider information, it didn’t take long to figure out how to enjoy the Finnish capital on a small budget. 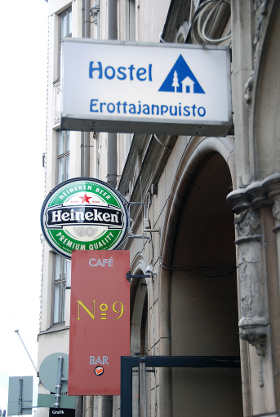 Much the same as everywhere in Europe, hostels are the way to go for budget travelers — although “cheap” in Helsinki means around 25€ a bed. Stadion Hostel is perhaps the best located, set in the Olympic Stadium, while Eurohostel, which is also central, offers a free sauna and backpacker dorms that have only three beds to a room. Suomenlinna Hostel is an alternative to staying in the city. It’s on the UNESCO World Heritage fortress island area of Suomenlinna, which is just a 20-minute ferry ride from Helsinki harbor. The islands are peaceful, but be aware that the hostel is popular with large school groups — you might have the place to yourself, but you might, as I was, be sharing the house with 20 hyperactive 10-year-olds. During summer months you can also stay in university accommodation, including Academia Hostel. One of the best ways to trim your food budget is by filling up with one of the lunch buffets (lounas buffett) offered by most city restaurants. My favorite was the hip restaurant/bar/live music venue Belly in the Design District. Eying its bright blue-painted walls, crystal chandeliers, and large murals of soul singers and Connery’s Bond, I had initially feared some hipster attitude. Happily, though, the staff were always friendly and the lunch-time crowd a mix of stylish designers, ad men, students, and workmen in their grubby overalls. No eyebrows were raised as I went up for my third or fourth plate of pasta, fish, meat, salad, and soup. Coffee and dessert is included in the 8,50€ cover. With most Helsinki cafes charging at least 3€ for a cup of coffee, you might struggle to keep pace with the Finns, world record holders for most coffee consumed per capita per year. Thankfully, Kaffecentralen, also in the Design District, keeps prices reasonable. This spot is a hangout for creative types from the nearby agencies and an espresso will only cost you one euro — less if you use your own cup. It’s no secret that the Finns like a drink. Even for locals, though, all that drinking takes a toll on the bank account — which is why so many make the ferry journey over to Tallinn to stock up on crates of booze. Still, you can drink on the cheap in the traditionally working class and — I found — slightly shady area of Kallio, home to the highest number of bars in the city, many of which run relatively generous happy hours. Kallio is a place to drink and get drunk and, despite creeping gentrification, it is far from polished: it gets loud and rowdy, and partiers tend to drink to the falling-down stage. It is a lot of fun, though. 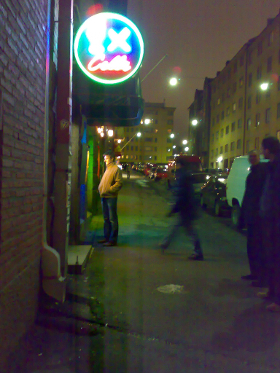 If you’re up to it, try doing the “Kallio kierros,” which involves having a drink at every bar… See how far you can get. If Kallio is a little rough for your tastes, try Bakers restaurant in the city center. From 5pm on Tuesdays through Saturdays a glass of sparkling wine costs just one euro. Architecture in Helsinki is world renowned (even inspiring the name of an Australian indie band) and is largely free to look at. Notable sights include the Central Railway Station, Sibelius Monument, the Jugenstil buildings around Katajanokka, and the several contributions that Alvar Aalto made to the city’s appearance. Known as the “Father of Modernism,” Aalto designed the Finlandia Hall, Enso Gutzeit Headquarters, and Academic Bookstore. 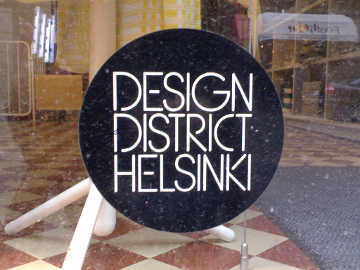 To see what’s happening in the world of design today, take a walk through the Design District and into the many shops displaying black and white Design District Helsinki stickers — although budget travelers should probably just look and not buy. The district is home to more than 100 design-oriented attractions, including boutiques, studios, and galleries. Contemporary Finnish design is showcased at the Design Forum, which is free to enter, and the Design Museum where entry costs 8€. Other museums offer free entry on certain days — the stunning Kiasma Museum of Contemporary Art and the Ateneum Art Museum are free on the first Wednesday of the month, while the National Museum of Finland is free every Tuesday evening. Summer in Helsinki is beautiful but brief. So if the sun shines, grab some snacks from Stockmann Deli, the Old Market Hall, or Punnitse & Saatsa (weigh and save) and head for Esplanadi or Alppipuisto Park (which hosts free events in the summer), take a ferry over to Pihlajasaari Island, or just soak up the sun sitting on the steps of Helsinki Cathedral. If you’re feeling more active, join the locals who jog the 2km track around Töölönlahti Bay — or, in winter, take a shortcut across the frozen water. I found most of the city compact enough to cover by foot, but to reach the farther sites such as the Sibelius Monument, beaches, or Linnanmäki amusement park, you’ll need to take public transportation. Helsinki City Transport offers a one-day pass — valid on buses, trams, the subway, and the ferry to Suomenlinna — for 6,80€ plus 3,40€ for each additional day. 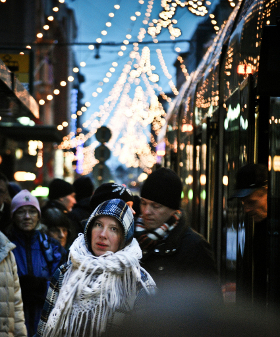 Trams 3B and 3T are two of the best — and cheapest — ways of seeing the city. The routes take around one hour and pass most of the city’s major sights; with a day ticket you can get on and off as you please. The Helsinki Card offers free admission to most museums, free public transportation, free entry to many attractions including the zoo, a free city tour, and discounts at restaurants, concerts, and on the ferry to Tallinn. Whether or not buying the card is worth the price (34€ for 24 hours; 45€ for 48 hours) really depends on how much you expect to be able to pack into a day or two. For lots more on the region, check out our Scandinavia focus page.